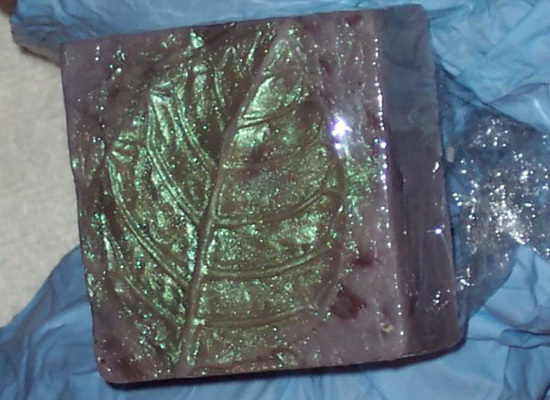 When I teach soap making, I am often asked about wrapping handmade soap. 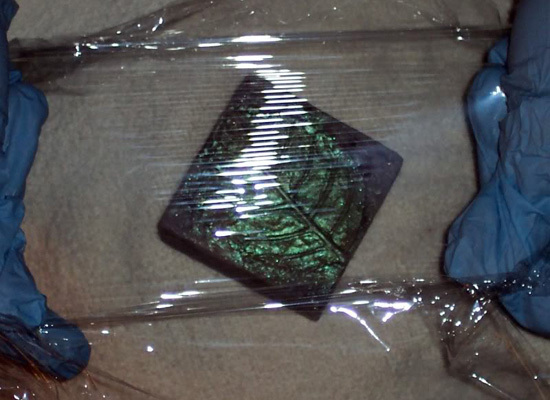 Here is a tutorial on how I wrap my soap. 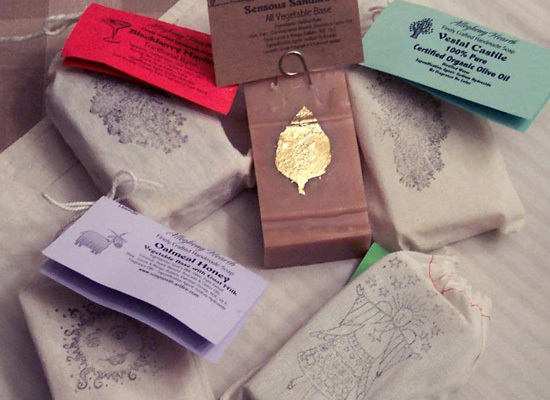 My cold process soaps are simply packaged in cotton muslin bags with a hang tag. The folded business card size tags allow plenty of room for all the ingredients and details required for proper soap labeling as well as giving me space to tell the story of my quality formulated soap. 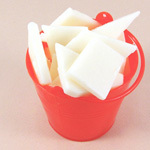 I cure my soap between two and three months because I prefer the results I get from a long cure time. Handmade soap continues to lose moisture throughout its shelf life so I like to use cotton muslin because it allows the soap to breathe and provides great protection from exposure to light and shelf wear. It is also an eco friendly wrapping. 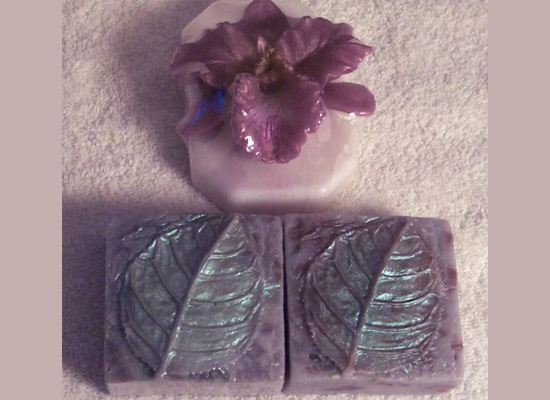 Here are my finished cold processed soaps as presented for sale. I have one bar open so the customer can see and smell the sample bar. I use a stainless steel deli pin to hold the hang tag. Customers simply match the tag to find the soap they wish to purchase. 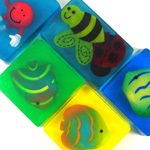 The clear glycerin soaps are different than the handmade cold process soaps. 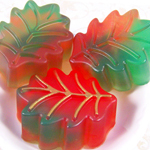 Glycerin soaps are hydroscopic and will draw moisture to themselves. 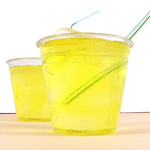 In humid environments the moisture will form on the soap like water droplets form on a cold glass on a hot summer day. 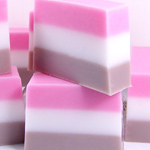 After some time, this moisture often develops a film on the soap. While perfectly safe and easily removed with use or a rinse of water, it is not attractive. 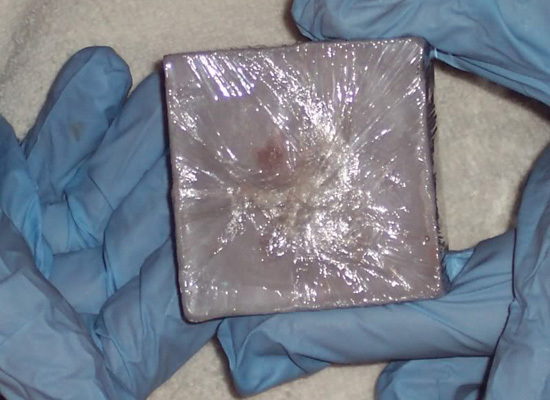 To prevent this from happening while the soap is in storage or on the store shelves it is necessary to wrap the soap in a way to prevent exposure to the moisture in the air. I prefer to use the one with the zip cutter. 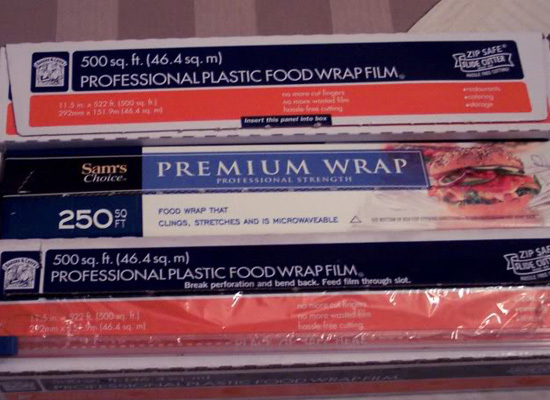 Regular clear wraps like Saran or Reynolds Clear Wrap do not work as well as the AEP wraps because they don’t stretch as easily. The key is to stretch the wrap before it comes in contact with the soap. 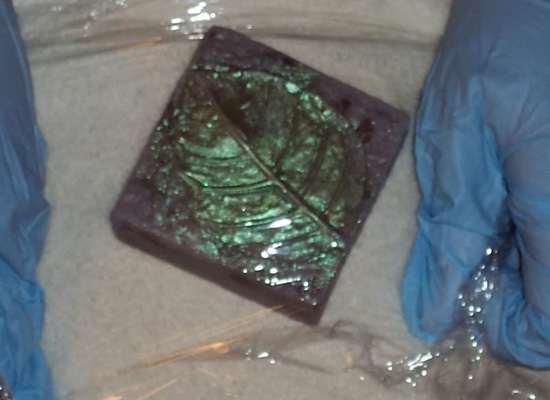 After the first stretch, lower the wrap to make contact with the top of the soap. Next, stretch and pull the wrap tightly in all directions to achieve a smooth top and sides. Draw all the excess wrap to the back of the soap. Gather the excess, trim with scissors and press the seams together. The wrap sticks to itself pretty well but you can add a small piece of clear scotch tape if you want more security. 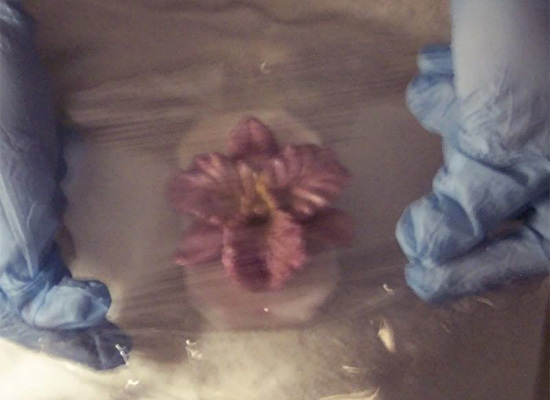 Here is the soap side by side, the orchid soap and one on the left is wrapped. 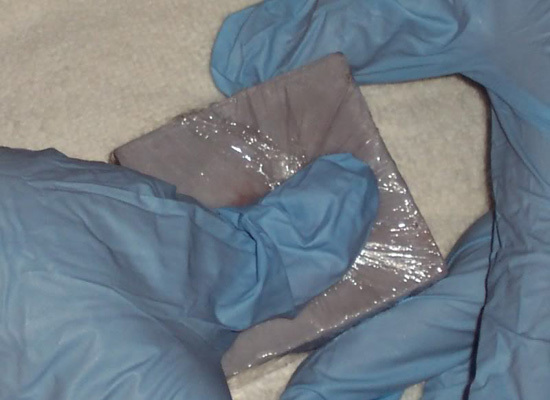 You can see how neatly the stretch wrap works, it is difficult to tell the difference between the wrapped and unwrapped soap. 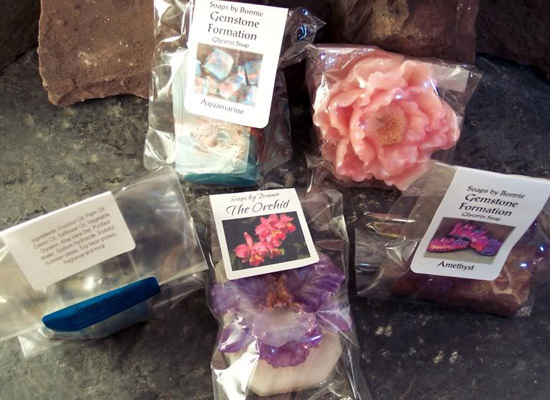 This process works well for the intricate shaped soaps like gemstone and flower soaps as well. 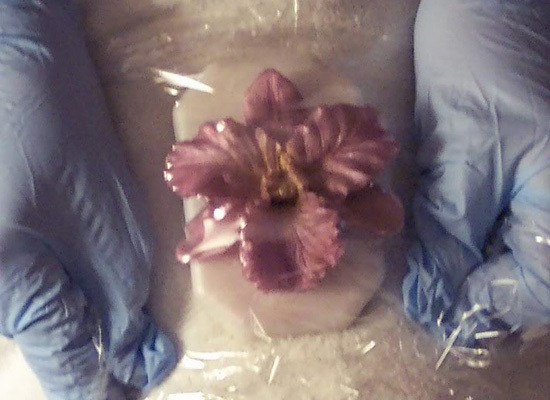 I finish my retail presentation by putting the wrapped soap in a crisp clear cello bag and seal with the label that provides the labeling requirements of name, full ingredient list, my contact information etc. 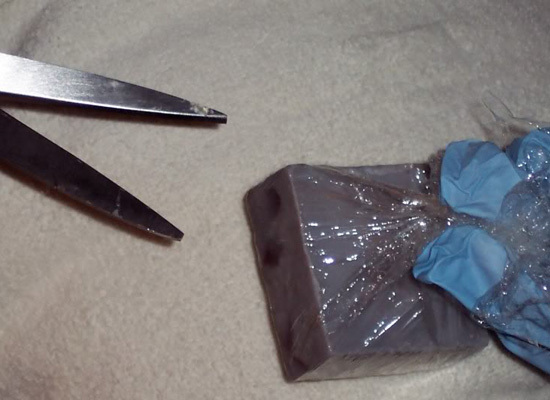 I hope you found this tutorial on how to wrap handmade soap helpful!